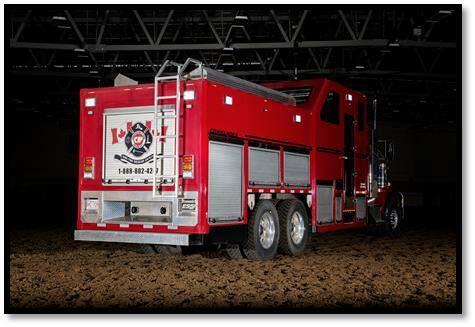 Canadian Industrial Paramedics provides the very best emergency fire and rescue services for all industrial operations in the oil, gas, construction, and forestry sectors. 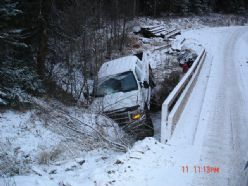 CIP is fully licensed to work in, and currently works throughout British Columbia, Alberta, Saskatchewan, Manitoba, and the Northern Territories. We can customize our services to meet and exceed your project requirements and needs. All of CIP's equipment meets and exceeds all standards set by WH&S and WCB in Alberta, Saskatchewan, British Columbia, and Northern Territories. We consider these recommendations to be minimum standards and aim to always exceed these expectations to provide the best possible care for all workers. 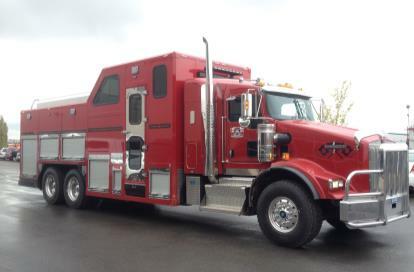 This one-of-a-kind combo truck is manned by 2 experienced and qualified Firefighters. All units are equipped with basic trauma gear, AED, and burn kits. CIP will provide management supervision for all projects to ensure quality, safety, and fire protection services on your project. CIP will customize our services to meet and exceed your project needs. These units were specifically designed and built to handle displacements, well fracturing operations, coil tubing operations, cleanouts, acid jobs, pumping or handling of hydrocarbon fluids or corrosive chemicals, and hot fuelling. 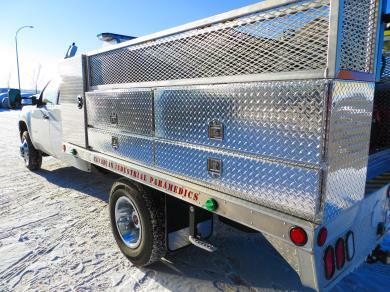 This quick-response unit is well equipped for fast attack of small wildland fires and has the storage space to house the Emergency Rescue Team (ERT) gear. This specialized piece of equipment is manned by an experienced and qualified operator. They have been designed to give our clients an option for decontamination services almost anywhere. All units are equipped with basic trauma gear, and AED, and burn kits. CIP will customize our services to meet and exceed your project needs and provide management supervision for all projects to ensure the utmost safety on your project.